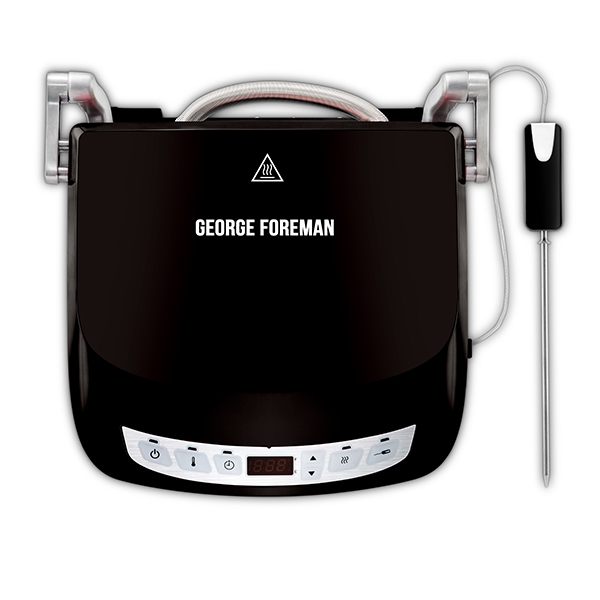 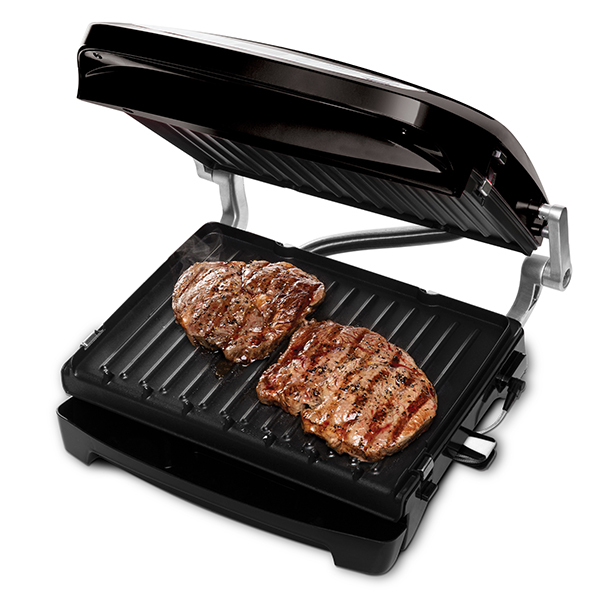 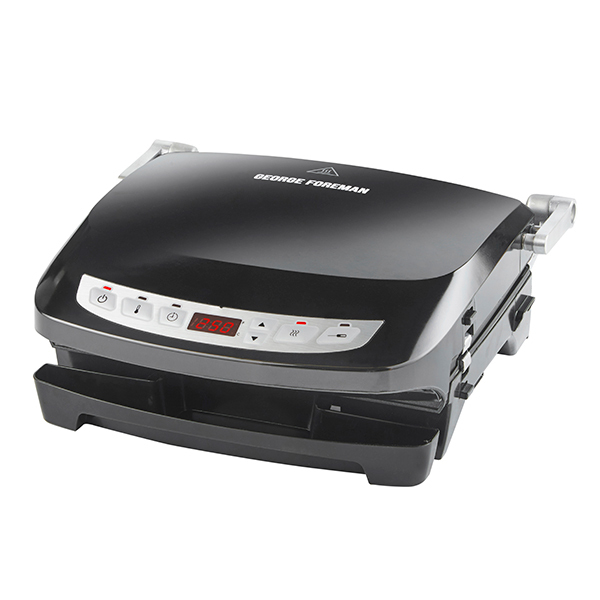 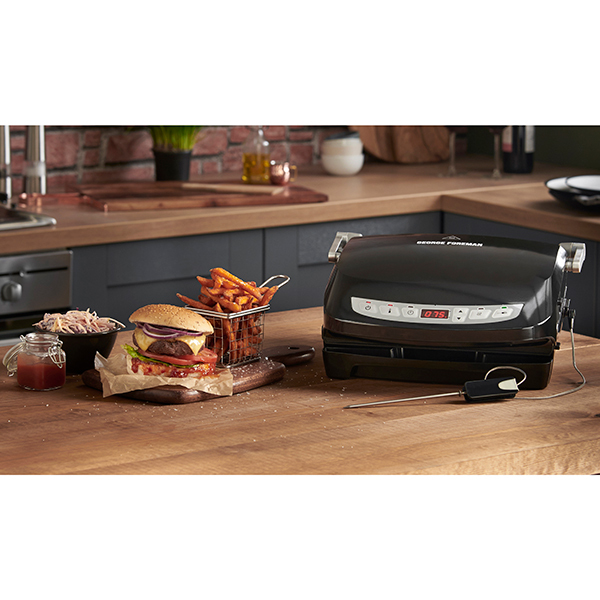 Cook all of your favourite meats to perfection with the George Foreman Evolve Precision Grill, specially designed to remove up to 42% fat* to enjoy your foods even more! 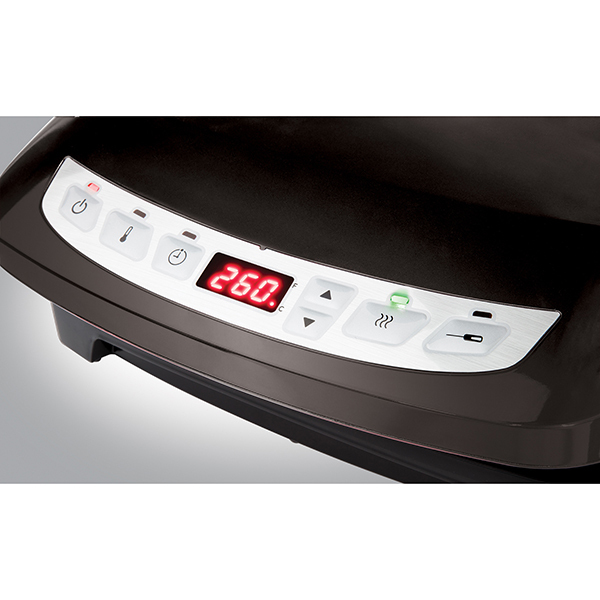 The LED display and digital controls allow you to dive straight into grilling, selecting the ideal function and temperature for your meats. Plus, thanks to the precision probe, you can even experiment with steaks and more, as it ensures proper cooking temperatures whilst taking you through rare, medium and well done! 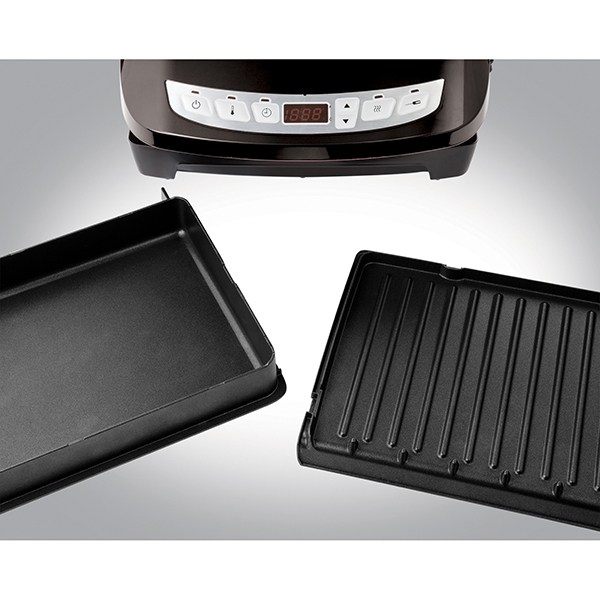 Cook flat for scrumptious lasagnes or angle to whip up a batch of burgers with the adjustable rear foot for even more options. 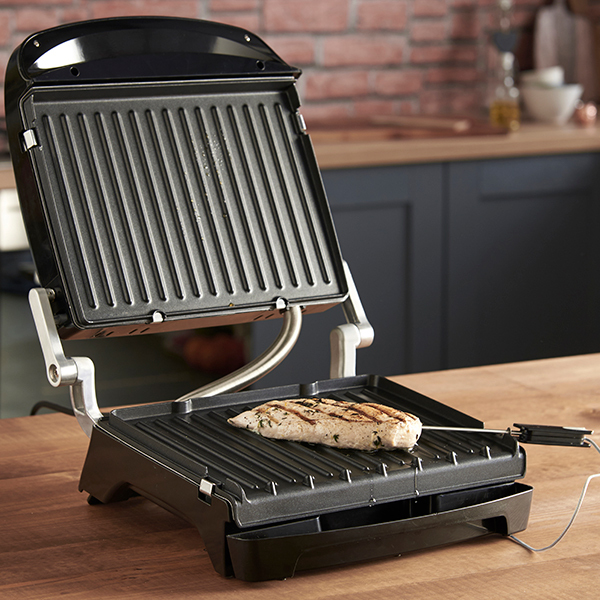 Providing efficiency from start to finish, the grill plates are also removable and dishwasher-safe for quick and easy clean-up once you’re finished. 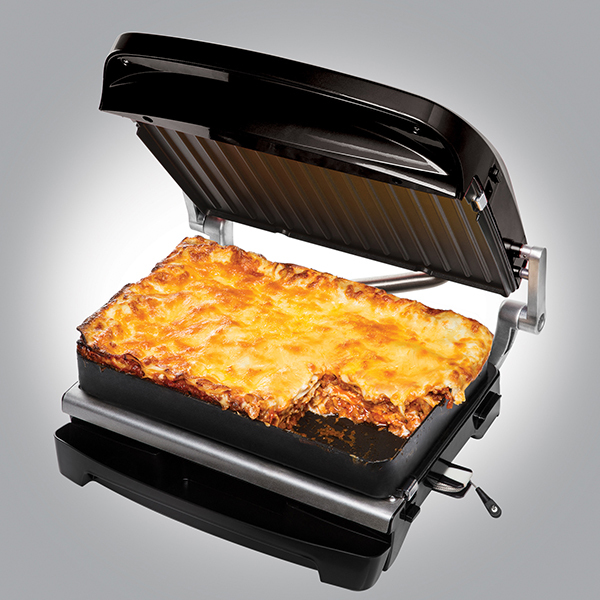 Cook up to six portions at once! 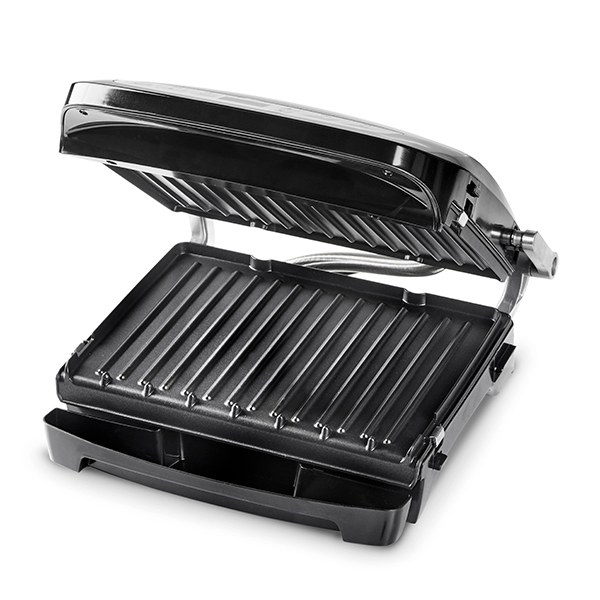 Discover the features of the Evolve 6 Portion Precision Grill, simply watch the video below.